Petitioner, Rialto Unified School District (District), was represented by Gail Lindberg, East Valley SELPA (Special Education Local Plan Area) program manager. Also in attendance for District throughout the hearing was Dr. Barbara Mori, director, student services. Respondent, Student (Student), was represented by Heather D. McGunigle, Paula D. Pearlman, Maronel Barajas, and Ann Rivera, of the Disability Rights Legal Center (DRLC). David Azar, of Quinn Emmanuel Urquhart Oliver & Hedges, also represented Student. Student’s mother (Mother) was present throughout the hearing. Student’s father (Father) was often present.2 A certified Spanish-language interpreter, Ms. Claudia Mosfegh, was available for Mother. Father declined assistance from an interpreter. 1 On November 15, 2006, the hearing was conducted at the offices of the Rialto Unified School District in Rialto, California. After the first day, the hearing was held at the offices of East Valley SELPA, located in Colton, California. 2 Other personnel from DRLC attended at various times throughout the hearing including attorneys Zaheva Stevens and Karen Tamis, Carly Munson, education advocate, and Matt Kent, law student intern . 3 The 45-day time period for issuing a decision in this matter was tolled to allow the parties to submit their closing briefs. 4 Student identified exhibit LLL. Exhibit PP was also sealed as it disclosed private information introduced through Dr. Feather’s testimony. 5 At the time of District’s assessment Student was taking Strattera for ADHD, and Zoloft and Seroquel for mood and anxiety. 6 On June 6, 2006, the nurse prepared a screening report. On June 7, 2006, the Woodcock-Johnson III tests of achievement were administered. On August 7, 2006, the remaining tests were administered. 8 District’s resource specialist administered the Woodcock -Johnson III tests of achievement; however, her qualifications were not challenged because District’s school psychologist interpreted the data. 9 Dr. Fuentes received his B.S. in behavioral science, an M.S. in Marriage and Family Therapy, an M.A. in experimental psychology and a Ph.D. in clinical psychology from Loma Linda University. He interned at Children’s Hospital in neuropsychology and was a fellow in clinical neuropsychology at Harbor-UCLA Medical Center, and a scholar in residence at UCLA. At the time of the hearing he was the Director of Clinical Assessments for the Interagency Assessment and Training Center at the Rob Reiner Center in the City of Parris (the Center). The Center operates in partnership with the Riverside County Office of Education to provide assessments for young children living in Riverside County suspected of having pervasive developmental disorders. 10 Dr. Fuentes did not conduct an independent psychoeducational examination of Student. Student’s eligibility was not at issue in this action and therefore Dr. Fuentes’s qualifications to determine Student’s eligibility was not addressed. 11 At the hearing, Father refused an interpreter and testified in English. An interpreter was available for Mother, and she used the interpreter when she testified, but she also indicated that she did not need an interpreter to understand witness testimony. 13 Coding is a measure of processing speed, short-term memory, learning ability, visual perception, visual-motor coordination, visual scanning ability, attention and motivation. Symbol search is a measure of processing speed, short term memory, learning ability, visual perception, visual motor coordination, visual discrimination, and concentration . 14 District and Dr. Fuentes disputed whether the extreme variance between composite scores, or “scatter,” particularly in the PSI score, affected the reliability of the overall FSIQ score. District maintained that the test instructions questioned the reliability of the individual composite score where the sub-tests that comprise the composite score are at variance. Dr. Fuentes disagreed. The testing instructions indicate that District’s interpretation was correct. Since the scores for the sub-tests for the PSI composite are both 4, the composite score for PSI is reliable. 15 In its closing brief, District claims that an “informal” observation was made of Student prior to the assessment. There was no credible evidence to support District’s claim. An informal observation, assuming it did occur, could never substitute for a structured BASC-2 observation. 16 Student contends that the SSR was deficient because it was given to Student verbally. Mr. Connor testified that he administers the self-report orally with pupils whose behaviors tend to make them rush through tests. Although Mr. Connor’s rationale is puzzling given Student’s reported tendency to spend too much time completing portions of the WISC-IV and WJ III, Dr. Fuentes did not identify any violation in testing protocol. 17 Mr. Connor testified that he administers the self-report orally with pupils whose behaviors tend to make them rush through tests. Mr. Connor’s response begs the question as to whether Student has a disability which impedes his ability to respond in writing. As the BASC-2 manual notes, “[c]hildren with reading difficulties may have trouble comprehending some of the items.” Mr. Connor’s stated rationale is puzzling given Student’s reported tendency to spend too much time completing portions of the WISC-IV and WJ III. 18 SBDBH prepared two letters for Mother containing arguably differing diagnoses. Whether the diagnoses conflict might prove relevant where Student’s eligibility is at issue, but is not relevant to the sole issue in this case. 19 Dr. Fuentes also noted that District should have explored further Student’s history of epilepsy. Student’s epileptic seizures ended in 2001 and were not an area of concern for Student or SBDBH. Whether District’s initial August 2006 assessment of Student was appropriate. District conducted an initial assessment of Student for special education in summer 2006 and determined that Student was not eligible for special education. Student disagreed with District’s assessment and requested an independent assessment at public expense. As provided for in the Individuals with Disabilities Education Act (IDEA), District expeditiously filed its request for due process to confirm the appropriateness of its assessment. District contends that the assessment of Student was appropriate because it met the standards required by the IDEA as further codified in the California Education Code. District maintains that the tests were administered by trained and knowledgeable personnel, and a credentialed school psychologist with 24 years of assessment experience. District argues that the testing materials were selected and administered so as not to be racially, culturally, or sexually discriminatory. Furthermore, District asserts that it did not rely upon a single measure as the sole criterion to determine whether Student was an individual with exceptional needs. District also argues that the tests were valid and reliable, and used according to the instructions provided by the producer of the assessments. Student contends that District failed to meet its burden of proving that its assessment was appropriate. Student alleges that the tests as administered by the District in compliance with its assessment plan were either defectively administered or incomplete. Student questions the appropriateness of the assessment in several enumerated areas. First, Student avers that the assessment was inappropriate because it failed to ascertain Student’s true cognitive ability. Second, Student attacks District’s interpretation of the results of Woodcock-Johnson III tests of achievement and its failure to administer its full standard battery of 12 tests. Third, Student questions the administration of the Behavioral Assessment System for Children – Second Edition (BASC-2), which District administered to determine whether Student qualified for special education as emotionally disturbed. 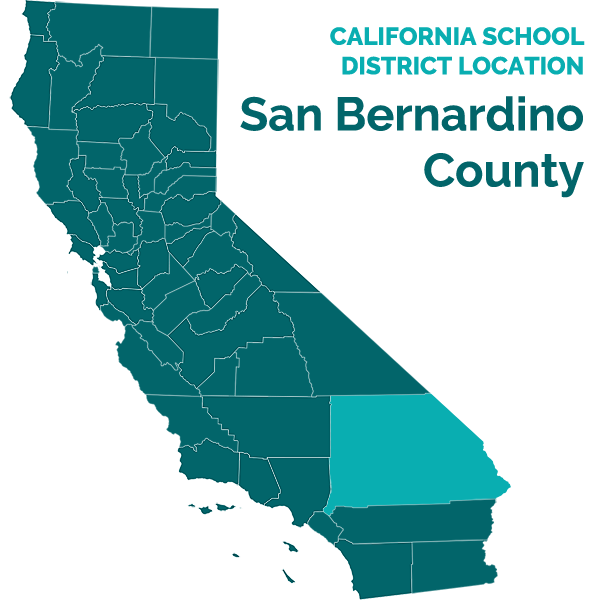 Student argues that District’s administration of BASC-2 was fatally defective because it omitted parent rating scales, a structured developmental history, a student observation system, reliable teacher rating scales, and a reliable student self-report. Fourth, Student contends that District’s assessment was inappropriate because it did not include essential data about Student from student’s educational or medical records, information acquired from interviews with persons knowledgeable about Student, or information gleaned from direct observations of Student in a variety of environments. Fifth, Student questions the appropriateness of District’s assessment of Student’s perception, processing, memory and motor development. Student contends that the Visual Aural Digit Span Test and the Development Test of Visual-Motor Integration tests did not appropriately evaluate Student’s short term memory. Sixth, Student argues that District’s assessment plan was inappropriate because it failed to assess Student’s language and speech development, adaptive skills, and career and vocational development as promised in its assessment plan. Finally, Student argues that District failed to report the results of a test relevant to emotional disturbance entitled the House-Tree-Person test. 1. Student was born on August 2, 1994, and is 12 years old. He is currently in seventh grade and lives with his Mother within the boundaries of the District. Student attended District schools since January 9, 2004, mid-fourth grade. Student has never been identified as eligible for special education. 3. Student was the subject of student study or success teams (SSTs) since elementary school. District and Mother met on several occasions to discuss Student’s behavior. Mother disclosed Student’s personal trauma, therapeutic history, and his ADHD. It was District’s opinion that Student’s behavioral issues qualified him for counseling and other county mental health services through SBDBH, but did not qualify him for special education and related services. In fifth grade, after an SST meeting, District informed Mother that Student was too bright for special education and recommended that Student be evaluated for the Gifted and Talented Program (GATE). Student was enrolled in GATE with Mother’s approval. 4. Student was frequently suspended. Student was suspended 11 days for a variety of offences in fifth grade. During the 2005-2006 school year, his sixth grade year, Student was suspended for 21 days. On May 30, 2006, upon the conclusion of a one-week suspension, District recommended that Student be expelled. Student was suspended from his home school and enrolled in a District community day school. At the time of the due process hearing Student was attending a District community day school. 5. Mother submitted her first written referral for a special education assessment to District on May 4, 2006. Mother indicated that she was concerned about Student’s educational progress due to his emotional disturbance. She requested a comprehensive assessment. 6. District timely submitted an assessment plan to Mother. In the assessment plan, the District indicated that it would conduct a psychoeducational assessment in the areas of: (1) academic achievement, (2) cognitive development and learning ability, (3) perception and processing memory, (4) language and speech development, (5) social, emotional and behavioral development, (6) self-help and adaptive skills, (7) career and vocational development, and (8) observation interviews. In addition, District indicated in the assessment plan that the nurse would provide a health status. 8. District conducted the assessment on June 6 and June 7, 2006, and on August 7, 2006 (collectively, the August 2006 initial assessment).6 District prepared an assessment report. On August 21, 2006, District convened an IEP meeting. In attendance were the Student, Mother, Student’s counsel, Helen McGunigle, District administrator, Dr. Barbara Mori, District school psychologist, Mr. Terry Connor (Mr. Connor), Student’s regular education teacher, and a District special education teacher. Parent brought an additional letter from SBDH outlining Student’s mental health diagnosis. The results of District’s assessment were reviewed. District determined that Student was ineligible for special education on the grounds that he did not have a learning disability and did not meet the eligibility criteria as an emotionally disturbed pupil. Student maintained that he was eligible as an emotionally disturbed pupil. Student requested an independent assessment. District declined on the ground that its assessment was appropriate. One week later, District filed a request for due process, which was the subject of the November 15 through 21, 2006, hearing. Tests must be administered by trained and knowledgeable individuals in conformance with test instructions provided by the producer of the assessments. Tests of intellectual or emotional functioning must be administered by a credentialed school psychologist. A pupil must be assessed in all areas of educational need related to the suspected disability. Tests must be administered so as not to be discriminatory and in the pupil’s native language. Testing and assessment materials must be validated for the specific purpose for which they are used. Testing materials must be provided and administered in the language and form most likely to yield accurate information on what the pupil knows and can do. Assessment materials must assess specific areas of educational need and not merely provide a single general intelligence quotient. In conducting the assessment, the school district must use a variety of assessment tools and strategies to gather relevant functional, developmental, and academic information, including information provided by the parent. The assessment must take into account all relevant material available about pupil. All assessment results must be reported in writing. 10. District’s school psychologist, Terry Connor was well qualified to administer all tests comprising a psychoeducational assessment, and to coordinate District’s assessment of Student.8 Mr. Connor has been a school psychologist since 1984. He received his bachelor of arts degree in psychology from the University of California at Riverside and a master’s of science degree from the California State University, Fullerton. He was credentialed in pupil personnel services with an authorization in school psychology. During his 24-year career he conducted approximately 3400 assessments, or 150 to 200 assessments a year. Mr. Connor was District’s sole witness. He was very knowledgeable about psychoeducational assessments and was confident that Student’s assessment was appropriate. However, he did not conduct certain tests, interviews, or observations of Student, and did not fully report Student’s developmental or educational history. His reasons for not taking a more comprehensive approach were generally not supported by Student’s history, test results, or the testing guidelines, and affected his credibility. 12. District selected and administered a variety of tests widely used in educational and clinical settings and validated for these purposes. Student’s psychoeducational assessment was comprised of the following testing instruments: the Wechsler Intelligence Scales for Children – Fourth Edition (WISC-IV); Woodcock-Johnson III Tests of Achievement (WJ III); Visual Aural Digit Scan Test (VADS); Visual-Motor Integration -Fifth Edition (VMI); House-Tree-Person (HTP); and Behavioral Assessment System for Children – Second Edition (BASC-2) observation of teacher and Self-Report of Personality (BASC-2: SRP-C). District supplemented the tests with a review of Student’s performance on a statewide educational test and a review of Student’s educational and medical records. 13. The tests selected were not discriminatory or culturally biased. However, District’s administration of the tests, particularly, its failure to evaluate Student’s English language proficiencymight have resulted in an assessment that failed to yield the most accurate information, and was culturally biased. District administered the psychoeducational assessment in English. Where pupils are primarily Spanish-speakers, District refers them to the bi-lingual school psychologist. District did not refer Student to the bi-lingual school psychologist because District relied upon Student’s educational records which indicated that Student’s level of English proficiency (LEP) was rated as an advanced level 5. Student took all his classes in English. Student also came from a bi-lingual home where both parents were proficient in English.11 District interacted regularly with Student’s mother in English without the use of interpreters. However, Student’s educational records also indicated that his primary language was Spanish and that, within two years prior to District’s assessment, his proficiency in speaking English (LEP 4) was higher than his overall English Language Proficiency (LEP 3). Dr. Fuentes testified that bi-lingual children that speak fluently still may face challenges comprehending English that could affect their performance on the assessment, particularly the WISC-IV which measures cognitive ability, as set forth in factual finding 17. District failed to administer additional tests in Student’s primary language, or use alternative tests, such as a non-verbal IQ test, to ensure that District tested Student in the language most likely to yield accurate information. 14. District failed to administer the WJ III test in the form most likely to yield accurate information about Student because it failed to test Student in all areas of suspected disability by administering the full standard battery of 12 tests. WJ III measures academic knowledge and is comprised of a total of twelve sub-tests. District administered eight sub-tests which were included as part of three broader measures: broad reading, broad math and written expression. District did not administer the tests for story recall, understanding directions, or spelling.12 Based upon the test results for writing fluency and writing samples, District should have administered the full, standard battery. 15. The writing sample and writing fluency test together comprised Student’s written expression score. Student achieved his highest score in written expression, ranking in the 91st percentile. He achieved in excess of the 99.9 percentile in writing samples; in contrast, in writing fluency he was caste in the 64th percentile. Student’s writing fluency test and writing samples measured only content. Student’s test contained misspellings, inconsistent spellings, omitted letters, poor grammar, poor capitalization, and poor handwriting. Student’s mechanical writing errors were consistent with his teachers’ notes. Student’s teachers noted significant problems with writing skills, including sentence structure, capitalization, legibility, and grammar. Almost two years earlier, Mr. Connor noted that Student did better orally than on paper. District should have administered additional spelling and oral language tests to determine whether Student had a specific learning disability. 17. District administered the WISC-IV to ascertain Student’s cognitive ability. WISC-IV provides an overall intelligence score or full-scale intellectual quotient (FSIQ). The FSIQ score is comprised of four sub-scores or composite scores. Each composite score measures an area of cognitive functioning, or facet of intelligence, specifically, verbal comprehension, perceptual reasoning, working memory, and processing speed. The composite score for each area of cognitive function is derived from yet another discrete set of measurements. The Verbal Comprehension Index (VCI) measures verbal abilities by measuring reasoning, comprehension and conceptualization. The Perceptual Reasoning Index (PRI) is composed of subtests measuring perceptual reasoning and organization, and is considered a nonverbal measure of ability. The Working Memory Index (WMI) is comprised of subtests measuring attention, concentration, and working memory. The Processing Speed Index (PSI) is composed of subtests measuring the speed of mental and motor processing. 20. District’s assessment plan included assessments in the area of perception, processing and memory. District administered the Visual Aural Digit Span Test (VADS) and the Developmental Test of Visual-Motor Integration-Fifth Edition (VMI). These two tests were designed to obtain information on Student’s long or short term memory. Neither test addressed long term memory. Student’s short term memory was of concern as indicated in the results in the WISC-IV PSI. Dr. Fuentes contended that these tests should be supplemented with additional tools. The VADS addressed short-term memory but was only a screening tool and not a full assessment tool. Dr. Fuentes correctly noted that as an area of suspected disability a complete assessment of Student’s perception and processing memory should have been completed, especially given the WISC-IV test results as set forth in factual findings 17 through 19. 21 . District failed to conduct a formal assessment of Student’s language and speech development as specified in District’s assessment plan. District agreed to perform these tests and was required to perform these tests as part of an appropriate assessment. 22. District failed to follow the author’s instructions to administer BASC-2 as an integrated system. The BASC-2 system is a multi-method system commonly administered to assess the various facets of the emotional and behavioral difficulties facing pupils. The use of an integrated multi-method assessment system reduces threats to the validity of the results because measurements are recorded from a variety of assessment tools. District failed to administer the BASC-2 as an integrated system because it failed to examine Student in multiple settings, failed to include a structured developmental history, failed to include parent rating scales, and failed to include a reliable teacher rating scale. [t]he SOS uses the technique of momentary sampling (that is, systematic coding during 3-second intervals spaced 30 seconds apart over a 15-minute period) to record a wide range of children’s behaviors, including positive behaviors (such as teacher-student interaction) as well as negative behaviors (such as inappropriate movement or inattention). Mr. Connor admitted that he had never utilized the SOS. He observed Student only on August 7, 2006, during the three-hour time period it took him to administer the psychoeducational assessment. Mr. Connor conceded that the quiet and controlled test environment was not comparable to a classroom. He stated that he could not observe Student because of Student’s pending expulsion and Mother’s wishes to have the assessment completed expeditiously.15 Mother submitted a written referral in May 2006. Student was enrolled in a District continuation school in fall 2007. Arrangements should have been made to observe Student in the classroom and in other appropriate settings using the BASC-2 assessment forms. 24. District failed to obtain a parent rating report as required by the author of BASC-2. According to the BASC-2 manual, the Parent Rating Scales (PRS) “provide [ ] items designed specifically for parents and address [ ] behavior about which parents have special knowledge.” The PRS helps provide a more accurate picture of Student’s internal emotional status. Mr. Connor conducted a spontaneous thirty minute interview in English with Mother at the reception desk in front of his office when Mother delivered Student to his office for testing on August 7, 2006. Mr. Connor’s informal interview was not a permissible substitute for the PRS. 25. District did not attempt to obtain a PRS from Father. As indicated by the BASC-2 manual an integrated system assesses emotional and behavioral difficulties from a number of different viewpoints.” BASC-2 does not expressly mandate that both parents complete a PRS. However, given the specific circumstances of this family, a PRS from both parents was preferred by the guidelines. Mr. Connor knew that Student’s parents were living apart at the time of the assessment. Father testified that he had his own observations of Student which were “opposite” of Mother’s observations. Further, given the particular circumstances of this Student’s history known to District, and set forth in factual findings 2 and 3, it was important to obtain a PRS from Father, if possible. 26. Dr. Fuentes criticized District for not using the BASC-2 Spanish language parent report. Mr. Connor conceded that District did not have the Spanish speaking version of the BASC-2, including parent rating reports. As set forth in factual finding 13, there was no evidence that parents ever required Spanish language interpretation for oral communication with the District. However, it is possible, given the importance of the PRS that parents might have preferred to respond to a written questionnaire in Spanish since it is their primary language. The use of a Spanish-language PRS would be consistent with Mother’s request for a Spanish interpreter at the due process hearing, an important event. 27. District secured only one teacher rating scale (TRS). The author in his instructions for BASC-2 encourages examiners to “obtain TRS ratings from two or more teachers to determine whether a child’s behavior can be generalized across classroom settings when comparing behaviors at home and at school.” The author notes that “[c]hildren may behave quite differently from one classroom structure and on various teachers’ instructional styles and adeptness with disciplinary practices.” The need for an additional TRS was underscored by the F-Score of 5 received from the one teacher rater. An F-Score of 5 indicates that the teacher’s responses were extremely negative and should be viewed with caution. This questionably unreliable TRS threatened the validity of the BASC-2 since it reduced the number of viewpoints about Student’s behaviors available to the examiner. District could not justify its inclusion of only one teacher rating. Mr. Connor admitted he had difficulty securing the TRS from one other teacher who had Student for several periods because the teacher was ill during a portion of summer 2006. 29. District did not include a Structured Developmental History (SDH). The SDH is a comprehensive survey filled out by parents about their child’s medical, developmental, family and clinical history from birth. The author of BASC-2 acknowledged that developmental and psychosocial history collection is more common in clinical than in educational settings. District should have conducted a SDH to ensure that it obtained information in the form most likely to yield accurate information. 30. To complete the assessment of a pupil’s emotional and behavioral status, the BASC-2 system must be supplemented by a clinical interview, and a review of clinic and school records. According to the BASC-2 instructions, only after vetting these records and completing the clinical interview, will the professional “have the information needed for a thorough, comprehensive evaluation of behavior, personality, and context.” Adherence to the BASC-2 instructions was particularly important where District was determining whether Student was eligible for special education as severely emotionally disturbed (SED). To be eligible as SED, Student must demonstrate over a long period of time and to a marked degree: an inability to maintain satisfactory interpersonal relationships; inappropriate types of behavior or feelings under normal circumstances; a general pervasive mood of unhappiness or depression; and a tendency to develop physical symptoms or fears associated with personal or school problems. District’s psychoeducational assessment was incomplete because it failed to adequately consider Student’s clinical history, particularly information from SBDBH. 31. Mr. Connor admitted that he never contacted or spoke with anyone from SBDBH. District’s own special education handbook requires a “referral to and report from” SBDBH in developing an IEP where emotional disturbance is the basis for special education eligibility. Mr. Connor did have in his possession records of Student’s clinical history, including a one-page letter prepared by SBDBH and supplied to him by Mother prior to completing his assessment. However, these records, without further information from SBDBH clinicians, did not provide a complete report of Student as required by BASC-2 and District’s special education handbook. 32. Dr. Nerissa V. Galang-Feather M.D, (Dr. Feather), testified on behalf of Student as a percipient witness of Student’s clinical and medical status. Dr. Feather’s testimony was sincere and heartfelt.18 Dr. Feather is Student’s treating psychiatrist through SBDBH, and the lead psychiatrist for the County of San Bernardino. Dr. Feather evaluated Student in 2004 and began treating him in 2005. She had reviewed his previous records and was extremely knowledgeable about his clinical and medical history. District’s release form, set forth in factual finding 13, was addressed to Dr. Feather, but Dr. Feather testified that she never received any communication from District. Mother authorized Dr. Feather to speak with District and to release Student’s personal information in anticipation that District would contact SBDBH. Dr. Feather was available to explain the clinical diagnoses of Student referenced in letters prepared by SBDBH. SBDBH identified the following disorders: Conduct Disorder, Anxiety Disorder Not otherwise specified (NOS) (Post Traumatic Stress Disorder and Panic Disorder); Depressive Disorder (NOS); Attention-Deficit/Hyperactivity Disorder (combined type). Dr. Feathers prescribed Student’s medications, set forth in factual finding 2. If contacted, she could have explained his medication regimen and discussed any side effects. District’s failure to interview Dr.Feather, or anyone else from SBDBH, is particularly striking in view of SBDBH’s participation in a previous SST meeting between Mother and District. Dr. Feather testified that she was so concerned with Student’s well-being at school, that she assigned a representative from SBDBH to attend the SST meeting. 33. Dr. Feather’s input was especially important to District’s assessment of Student’s eligibility as SED. Dr. Feather was knowledgeable about Student’s mental health and clinical history, and his treatment at SBDBH. Dr. Feather would have shared details of Student’s traumatic emotional and clinical history, and her opinion regarding his conduct and psychological stresses. Dr. Feather’s interview would have better informed District’s assessment of whether Student’s behaviors were emotionally based. 34. District administered a drawing test which measures Student’s emotional status. The House-Tree-Person test was named for the content of the drawing. District didn’t report the results of the test as required. District’s school psychologist stated that he used the House-Tree Person drawing to develop repore with Student. However, this test is relevant to the determination of Student’s eligibility as SED and should have been reported. 35. District failed to assess Student’s self help and adaptive skills as promised in its assessment plan. An assessment of Student’s adaptive skills was important because it was highly relevant to whether Student is eligible as SED as it examines Student’s social interactions and behaviors. District maintained that it used the BASC-2 to assess Student’s adaptive behavior. However, District failed to conduct the interviews and observations required in BASC-2. Accordingly, District’s assessment of Student’s adaptive skills was deficient. 36. District’s assessment of Student’s career and vocational development consisted of an abbreviated informal interview with Mr. Connors at some point during the three hours Mr. Connor administered tests on August 7, 2006. Mr. Connor’s exchange with Student was limited to asking Student his address, telephone number and what he would like to do for a living. 37 . District was required to observe Student in an appropriate setting. As indicated in factual finding 23, District never observed Student in the classroom. District never observed Student in any setting other than the testing room. 38. Assessments must include educationally relevant health, developmental, and medical findings and any other relevant information available about a pupil. Mr. Connor insisted that he fully considered Student’s clinical and medical history, included his trauma, referred to in factual findings 2, 3, and 32, but did not acknowledge it in his written assessment, in part, to protect Student’s privacy. Mr. Connor could not provide any rationale for not referring discretely to Student’s private information. 40. District’s assessment was dismissive of Student’s diagnosis of ADHD. ADHD may qualify a pupil for special education or related services as a specific learning disability, SED or Other Health Impaired (OHI). District’s conviction that the ADHD did not interfere with Student’s access to education is reflected in comments made by his teachers, but is not supported by a previous assessment, formal interviews or observations. As an area of suspected disability, District should have investigated his history of ADHD further. Was District’s August 2006 initial assessment of Student appropriate? 6. As required by legal conclusions 2 through 4, District did meet certain important assessment criteria, as set forth in factual findings 10, 12 and 13. It employed the services of a highly qualified school psychologist, Mr. Connor, to administer the tests. District selected a variety of valid tests designed to assess specific areas of educational need and which did not merely provide a single intelligence quotient. The tests selected were not discriminatory or culturally biased. (A) District did not sufficiently account for Student’s LEP and as a result the tests may not have been administered in the language most likely to yield accurate information and, as administered, may have been culturally biased, as set forth in factual finding 13. District also failed to make available a Spanish language PRS, as indicated in factual finding 26. (B) District failed to administer the test consistent with the author’s test instructions, as set forth in factual findings 19, 22 through 24, 27, 28, and 30 through 31. (C) District failed to administer the tests in the form most likely to yield accurate information, as set forth in factual findings 14, 24 through 26, 28 and 29. (D) Mother expressly requested that District assess Student for SED, as set forth in factual finding 5. Yet District failed to conduct interviews and observations as required by the author’s instructions, as set forth in factual findings 7, 22 through 27, and 30 through 33, or required by its assessment plan, as set forth in factual findings 6, 35 and 37. (E) District failed to adequately assess Student in all areas of educational need related to suspected and specific learning disabilities. District did not follow through on a possible processing or other disorder, as suggested by Student’s writing tests, math, and PSI scores, as set forth in factual findings 14 through 19. District failed to adequately test Student’s perception and processing memory as required by its assessment plan, as indicated in factual finding 20. (F) District failed to report the results of the House-Tree-Person test, as set forth in factual finding 34. (G) District did not complete its assessment plan, as set forth in factual findings 6, 21, 35 through 37. (H) District was aware of Student’s medical, clinical, and behavioral history, as set forth in factual findings 1 through 4. Nevertheless, District failed to adequately chronicle relevant and available information from Student’s medical, developmental and educational records, also important to its evaluation of SED, as set forth in factual findings 38 through 39. District failed to adequately assess Student’s ADHD, as indicated in factual finding 40. 8. District complied with the law, set forth in legal conclusion 5, when it expeditiously filed its request for due process after Student requested an IEE at public expense, as set forth in factual finding 8. District has the burden of proof, as set forth in legal conclusion 1. By failing to fulfill its burden of proving that its assessment was appropriate, District has not met the conditions for discharging its obligation to comply with Student’s request for an IEE conducted by qualified individuals at public expense. District contended that its request for due process did not extend to authorizing an IEE. On the contrary, District’s request for due process was filed consistent with the law which requires District to comply with Student’s request unless it “can demonstrate at a due process hearing that its assessment was appropriate. To require Student to initiate its own due process request to confirm its right to an IEE after District failed to demonstrate that its assessment was appropriate is inconsistent with the express language of the statute. 2. Student is entitled to an IEE conducted by qualified individuals at public expense. Education Code section 56507, subdivision (d), requires that the hearing decision indicate the extent to which each party has prevailed on each issue heard and decided. The Student prevailed on the sole issue heard and decided.